On Saturday June 27th we were at the East Butler Fire Hall in East Butler PA. 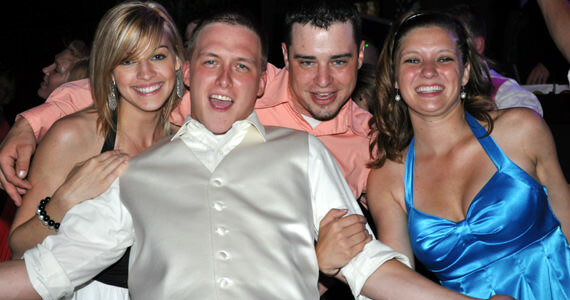 The event was a wedding reception for Patrick & Erin Bayer. Patrick & Erin were married at the St. Wendelin Roman Catholic Church in Butler at 4:00 pm. Guests began arriving at the East Butler Fire Hall shortly after 5:00 pm where they enjoyed cocktails, cookies and a wonderful assortment of fruits & vegetables that was provided by Butler Custom Catering. The bridal party arrived around 6:30 pm at which time they were formally introduced into the hall to “Save A Horse, Ride A Cowboy” by Big & Rich. I then introduced Patrick & Erin into the hall using their song choice which was “Put A Girl In It” by Brooks & Dunn. After the introductions, I turned the microphone over to the best man Mr. TJ Bayer and maid of honor Miss Emily Welter, who toasted the bride & groom. Dinner was catered by the East Butler Fire Hall and was served buffet style. After dinner, Patrick & Erin shared in their first dance together as husband and wife to “Your Everything” by Keith Urban. 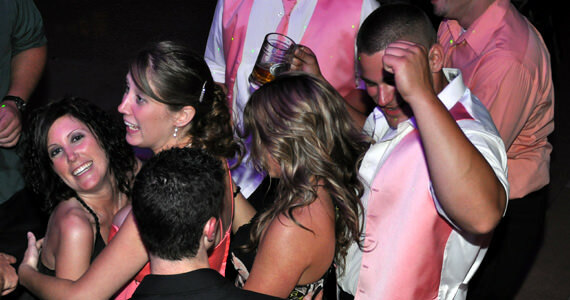 They then danced with the bridal party to “Me & You” by Kenny Chesney. 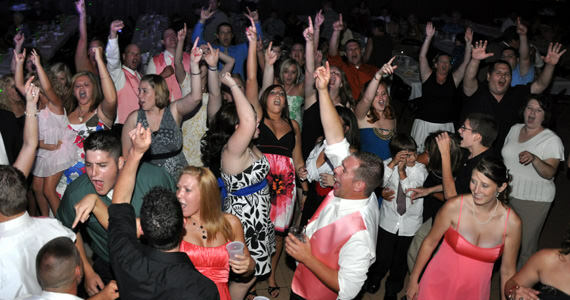 The great part about the guests at this wedding was how quickly they responded once we opened up the dance floor. Within minutes, the dance floor was packed and it stayed that way all evening. 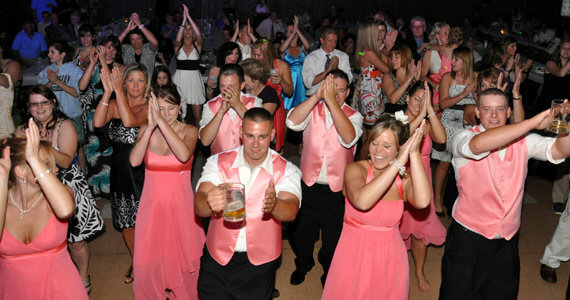 Guests danced to a mix of Classic Rock, Country, Hip Hop and Top 40 music. 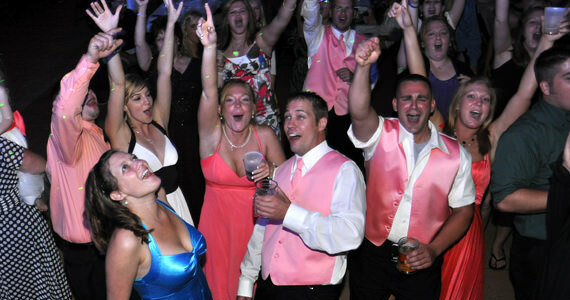 At one point we dressed up several bridesmaids along with a couple of other ladies in Big Afros, Plaid Sport Coats and Cool Sunglasses and they entertained guests as they danced to “Play That Funky Music” by Wild Cherry. One of the funniest moments of the evening occurred when we invited Erin to the dance floor and at the request of her bridesmaids had her dance to “Poker Face” by Lady GaGa, – “Like she did at the Bachelorette party”. This particular wedding reception lasted a little longer (6.5 hours total) than the average wedding reception and things wrapped up at 11:30 pm as guests shared in the last dance with Patrick & Erin to “From This Moment” by Shania Twain. I’m just curious if the Groomsmen were able to sneak off with the left over keg of beer – a few of them were sure trying as I was packing up!